Mother of Donna Petty ’68, Barbara Petty ’69, Alice Petty ’75, Lori Petty ’78 passed away. Dayton, Ohio. Phyl was dedicated to her Catholic faith throughout her life, which also greatly influenced her family. She was a leader in the early Catholic Charismatic Movement. She volunteered for numerous nursing homes, playing the dulcimer, being a Eucharistic minister and praying with the residents. Phyl was instrumental in the establishment and growth of Heartbeat of Toledo. She loved traveling around Ohio with her husband, Jim, visiting State Parks, Amish Country and walking trails. Phyl was kind and generous and opened her heart and home to all. She devoted her life to being a nurturing wife, mother and grandmother. Left to cherish her memory are her loving husband of 67 years, Jim, past-president of People’s Savings and Charter One Bank; children, Donna (John) Danekind, Barbara (Ron) Cochrane, James (Maria) Petty, Alice (Steve) Bruhn and Lori (Michael) Miller; 11 grandchildren; 18 great-grandchildren; and 3 great-great-grandchildren. The family will receive guests from 3-7:30 p.m. on Friday, January 27, 2017, at Newcomer Funeral Home, 4752 Heatherdowns Blvd., Toledo (419-381-1900). The Funeral Mass will begin at 11:00 a.m. on Saturday at St. Joan of Arc Parish, 5856 Heatherdowns Blvd., Toledo. Burial will take place at Resurrection Cemetery. Memorial Contributions may be made to: Heartbeat of Toledo, 4041 W. Sylvania, OH 43623. Don Basilius knew what it meant to work hard. Anyone who knew him would tell you that. And yet, though his accomplishments were many, his family will always remember him for how he made them feel. Loved. Always loved. Don knew how to make the people around him feel special, and welcome and accepted. He was a loving father and grandfather who taught the value of hard work, persistence and patience. With his wife, Barbara by his side, Donald William Basilius died at the age of eighty-eight on Thursday, February 16 at his home at The Waterford at Levis Commons. The first child of Otto and Marie Basilius of Toledo, born December 21, 1928 at home on Humboldt Street in Toledo, Ohio. Don attended Macomber Vocational Technical High School where he learned the basics of the trade that would become his passion for life. In 1943, on a cold and rainy morning on the way to school, he offered a ride to a girl standing on the corner in her crisp white uniform and babushka, not knowing then that six years and hundreds of love letters later, that ride would become his bride. Donald and Barbara (Helm) married in 1949 and made the South end their home for most of their lives. Don began his career working for his father at Otto’s grinding, sharpening lawn mowers and cutting tools during the war. When the war ended, Donald saw the potential in building injection molds and invested in the equipment that would be the start of The Basilius Tool Company, and where Don proudly ran the business for many years, and truth be told, never really retired. Though he worked long hours, Don also loved to entertain with his wife Barbara and they were well known throughout the neighborhood for their themed pool parties. After learning to dance (one of Barbara’s absolute requirements of their marriage! ), Don spent many a Friday night waltzing and polka-ing the night away with friends at the old Billyle’s Supper Club, The Maumee Elks, and any other venue where they could join friends for an evening of fun after a long week. He was also an avid traveler, visiting Sanibel Island, Aruba, Europe, and many places throughout the United States. Just a couple years ago, Don gathered his entire family for a Caribbean Cruise – a memory he talked about until the end. He is survived by his loving wife, Barbara; children, Dwight (Beth) (Santa Cruz, CA), Pam (Springfield, OR), Scott (Denise) (Maumee, OH), and Brian (Candy) (Key Largo, FL); brother, Vernon (Amy) (Toledo, OH); brother-in-law Darwyn Keiser (Waterville, OH); grandchildren, Meagan and Molly (Dwight), Alexandra and Drew (Pam), Kiersten, Nick, and Mike, (Scott) and Jade and Chelsea (Brian); great-grandchildren, Silas and Will (Meagan) Rilyn and Kason (Alex) and Sophia and Olivia (Molly) and many nieces, nephews and dear friends. Don was preceded in death by his parents and his sister, Carol Ann Keiser. The family would like to thank all of the wonderful caregivers at The Waterford at Levis Commons and good friends Sheila and Mark Coburn for their kindness and years of gentle giving. Visitation will be held on Thursday, February 23,2017 from 2-8 p.m. at The Walker Funeral Home, 5155 Sylvania Avenue, Toledo Ohio. Barbara and the Basilius children will be hosting a celebration of his life on Friday at 11 a.m. at The Walker Funeral Home followed by interment at Ottawa Hills Memorial Park in Toledo, OH. Please join us to share your memories. In lieu of flowers, donations can be made in memory of Don to the charity of the donor’s choice . 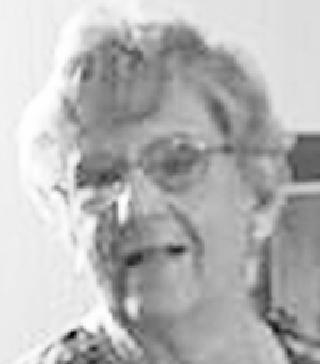 Phyllis J. Hoepfl, age 89, of Holland, passed away peacefully on January 11, 2017, at Hospice of Northwest Ohio, Toledo. University of Toledo and the University of Michigan. Phyllis spent her career working as a Registered Nurse for many years before moving into her role as a Personnel Manager first at Conagra Foods and then Schindler Elevator Company-USA from which she retired. She was also a part owner with her daughter of the Your Personal Touch Shoppe (Interior Decorating) at Westgate Village Shopping Center. 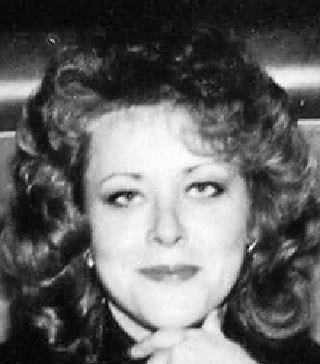 She was a member of the Employers Association of Toledo, the Ohio Nursing Association, the Toledo Museum of Art, the Toledo Symphony and Our Lady of Lourdes Parish. She enjoyed travel, playing cards, artistic activities, was an avid reader and truly loved people. Phillips; step-grandchildren, Renee, Dustin, Katie, Ledah, Willa and Henry; 15 great-grandchildren; sisters, Nancy Martin, Suzanne (Donald) Nowak and brothers, James and Ralph Cook. Friends may visit at the Coyle Funeral Home, 1770 S. Reynolds Rd., on Friday, January 13, from 3-8 p.m. where a Sharing of Memories service will be held at 7:30 p.m. Funeral Services will be held on Saturday, January 14, beginning at 10:30 a.m., in the mortuary, followed by a Funeral Mass at Our Lady of Lourdes Church at 11 a.m. and interment at Resurrection Cemetery. 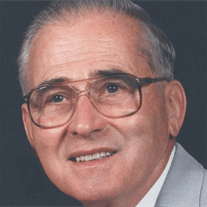 Joseph Savin 91, passed away at Hospice of Northwest Ohio on Thursday, Feb. 16, 2017. He was the son of Francis & Rose (Szabo) Scsavnicki. Joseph was born in Rossford, OH Oct. 24, 1925. He married Delphine Iwinski June 21, 1951. Joseph is survived by his loving wife Delphine, loving children Charlene (Brian) McDermott, Carmel, IN & Diane Savin Indianapolis, IN; grandchildren Colleen (David) Brashear and Andrew McDermott both of Carmel, IN; brother, Emery (Ann) Scsavnicki; and 4 legged pet, Candi. Joseph received the Victory Medal, Asiatic Pacific Area Campaign Medal, and the American Area Campaign Medal while serving in the Navy. Joseph & Delphine traveled all 50 states, Canada & Mexico, and visited Florida many times. He was a coffee roaster for A&P Tea Co., was a member of Toledo Edison Retiree Club, and was a founding charter member of St. Patrick of Heatherdowns Church. His greatest joy was working in the yard. Visitation will be Wed., Feb. 22, 2017 at Coyle Funeral Home, 1770 S. Reynolds Rd., Toledo, OH. from 2-8 p.m., with a scripture service at 7:30 p.m. Funeral services will begin in the mortuary at 9:30 a.m. on Thursday, Feb. 23, 2017, followed by mass at St. Patrick of Heatherdowns, 4201 Heatherdowns Blvd. Toledo, OH at 10 a.m. Burial will take place at Resurrection Cemetery Mausoleum. Memorial contributions may be made to Hospice of Northwest Ohio, 800 S. Detroit Ave. Toledo, OH 45609 & St. Patrick of Heatherdowns Church, 4201 Heatherdowns Blvd. Toledo, OH 43614-3019. Please leave a condolence message for the family at CoyleFuneralHome.com.